Mechanistic target of rapamycin (mTOR) is a conserved serine/threonine kinase that plays a critical role in the control of cellular growth and metabolism. Hyperactivation of mTOR pathway is common in human cancers, driving uncontrolled proliferation. MicroRNA (miRNA) is a class of short noncoding RNAs that regulate the expression of a wide variety of genes. Deregulation of miRNAs is a hallmark of cancer. Recent studies have revealed interplays between miRNAs and the mTOR pathway during cancer development. Such interactions appear to provide a fine-tuning of various cellular functions and contribute qualitatively to the behavior of cancer. 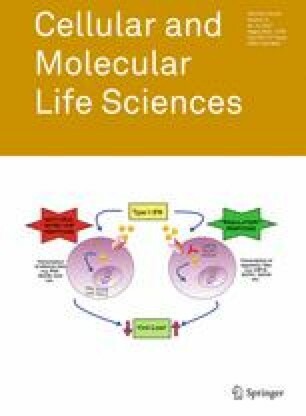 Here we provide an overview of current knowledge regarding the reciprocal relationship between miRNAs and mTOR pathway: regulation of mTOR signaling by miRNAs and control of miRNA biogenesis by mTOR. Further research in this area may prove important for the diagnosis and therapy of human cancer. Related work in authors’ laboratories was supported by NIH R01 Grants CA123391, CA166575, and CA173519, the National Natural Science Foundation of China 81672354, 81372600, 81572440, and Shanghai Pujiang Program 15PJ1404900.